Too Many Ways to be No. 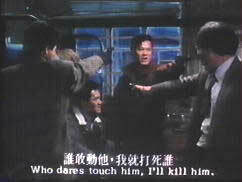 1 is possibly the most violent comedy I have ever seen. At least, I have to assume this Chinese movie is intended to be a comedy. There is way too much situational humor, way too many unlikely coincidences, way too much goofiness in the directing and cinematography for this to even possibly be intended as a serious drama. 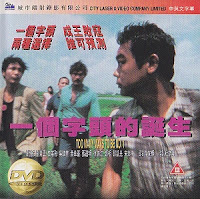 Format Viewed DVD (City Laser & Video Company Limited NDVD 129) Oddly, this is packaged like a VCD. ...the result is weird enough to be very satisfying indeed! Too Many Ways to be No. 1 is the story of some Hong Kong “rascals” who want to be big Triad guys, and they variously succeed and fail (mostly fail) in this ambition. The plot is convoluted and goofy to the point of surrealism. It also doubles back on itself, so the characters can make key choices more than once, and we can see how the plot unfurls differently as a result of these choices. Note that this is the exact premise/device of the award-winning German film Run Lola Run. In fact, the first time I saw TMWTBN1, I assumed it was ripping off Run Lola Run. Then I realized that Run Lola Run came out in 1998, a year after TMWTBN1. Huh. How about that. The references to Tarantino's 1994 Reservoir Dogs are way too deliberate to be accidental. Just like Tarantino's film, this one starts with all our gangsters conversing around a restaurant table, the camera panning around between them. This is partly an homage to Tarantino's style, which is fair enough because Tarantino borrows from Hong Kong movie aesthetics all the time. But Wai Ka Fi is also pretty clearly making fun of Tarantino, because his camera ends up dipping and swooping about in such a zany way that it becomes impossible to take this style seriously. 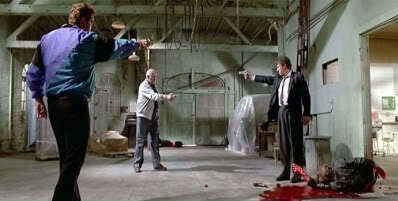 It's Tarantino way past the point of absurdity. It's dark and gritty and tense, sure. But it's so far over-the-top that it becomes something else too. What? Comedy? Dark comedy? Surrealism? Just silliness? From the Gweilo's perspective, I'm not really sure. Which makes this movie unusually interesting to watch. The movie's plot is really quite fun(ny), especially if you put aside all the gruesomeness and violence. The would-be criminals escape from the scene of a crime to their hideout. They are worried that they will be found--What if someone saw their getaway car?! So they decide to blow up their getaway car on the street in front of their hideout, so as not to attract attention. They brick up a dead body in a wall, so that nobody will find it. They forget to remove the dead body's cell phone and pager. They agree to drive a fleet of stolen luxury cars to a warehouse. They go to where the cars are. And only then realize that they don't all know how to drive. 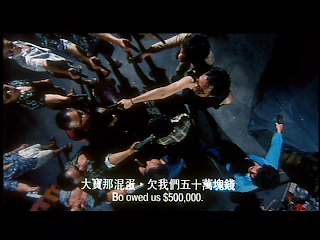 They decide to "follow" a more competent triad gang while they do a robbery, hoping to steal from the more competent criminals later. They follow so closely they end up crashing into the real criminals' car. They agree to kill someone, just like professional hit men. They fly to their destination, only to realize they left the name and address of their target at home. So they call their mom to read the information to them. But their mom is blind. Tip: Getting instructions from a homicidal narcoleptic crime boss can be a problem, especially if he promises to kill you if you ask him to repeat his instructions. Even more, the camera work in this film is much more daring and weird than you'll ever see in a Hollywood film. Some of it ends up downright beautiful. Like this, my favorite scene of the film, a gun fight that begins with the lights getting shot out so the whole scene is illuminated only by the muzzle flashes of the guns. Or this sudden, botched, impromptu robbery. The movie camera itself is apparently one of the things the robbers hastily grab, so this whole scene is shot upside down, from the perspective of one of the robber's hands. Or another gunfight scene where the camera lens gets spattered with blood, and the blood stays on the lens for the rest of the shot, the constellations of blood drops rotating with the lens as the camera focuses. Bottom Line of this Chines Movie Review: It's almost certainly a comedy, but it's got all the wincing grittiness of Reservoir Dogs. In certain scenes, when it gets this balance just right, its like nothing you've ever seen before.